Casa de Vila Nova is owned by the Lencastre family, of aristocratic Portuguese lineage (one of their ancestors became the first Baron of Varzea do Douro in the 1800s). This land has been in their family since the 12th century – the ivy clad tower that still remains from that time is now surrounded by Vila Nova (new house) that was built in the 1700s, and the property was gradually extended over the centuries. The estate is near the town of Penafiel, close to the eastern border of Portugal`s vinho verde wine region, around a 30 minute drive east from Oporto. In the late 1970s the family planted vines over 12 hectares – mainly local Portuguese varieties. 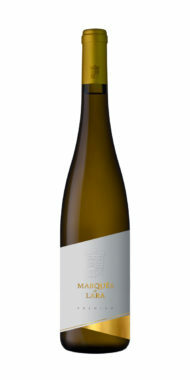 In 2008 Bernardo Lencastre and his brothers took over the running of the property, revitalised the vineyards and began making vinho verde and bottling their own wines – the first generation to do so. They now have around 42 hectares of vineyard.